Apple’s iPad has taken off, and people are buying them up left and right. Once you get one, you immediately want to start downloading applications, and of course a good number of those will be games. Where do you start, though? There are thousands of them, and picking which ones to start with can be a pain. Well, we’ve gathered up 40 of the best across eight different categories to help you start on your quest to pick the ones that are worth your valuable time. And best of all? They’re all free! Carnivores: Dinosaur Hunter LE: The worst thing about the dinosaurs dying out? We never got to hunt them! Well, this game changes all that by letting you gear up with multiple weapons and go on a hunt for everything from the docile herbivores up to the man eating carnivores. Gun Bros: The Freakishly Rugged Advanced Genetics Galactic Enforcement Division (AKA F.R.A.G.G.E.D) is trying to take down T.O.O.L. and needs your help. Load up and head out to fight the enemies, invite friends in via Game Center and even gain experience if someone else uses your “Bro”. Hero Project for iPad: You’re a rookie superhero being trained by the 12 members of the Parliament of Heroes. Create your hero from hundreds of options and go on real-time adventures to defeat the bad guys over running the city. 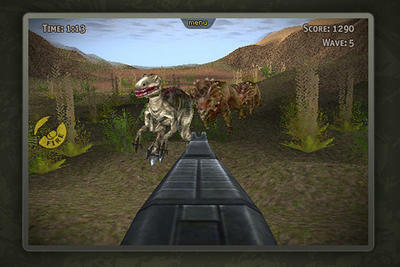 Modern Combat: Sandstorm HD FREE: Fight your way through enemies in this first person shooter set in modern time combat. 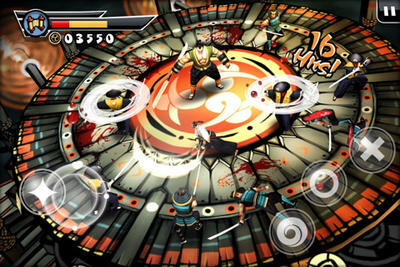 Shoot to Kill HD: You’re trapped in a protective pentagram, and surrounded by demons. The only thing you can do is start unleashing a wide array of weapons at them. Get special weapons, re-energize in the ray of light and try to stay alive. BlackJack 21 Professional Simulator (21 Pro Sim): This BlackJack simulator will allow you to track your career to see how you do over time, look back at your last 500 moves to see where you might be able to improve, play in a practice mode that won’t impact your stats and a ton more features. MiniTycoon Casino: Build up your own casino empire from a small town gambling hall to something that rivals what you would see in Las Vegas. Buy different machines, hire your friends as dealers, visit other people’s casinos to increase your energy and more. Slots Free for iPad: This slots app uses the same technology as those in real casinos and promises you true randomness from the reels. Feel free to play all day long as you aren’t wagering any real money. 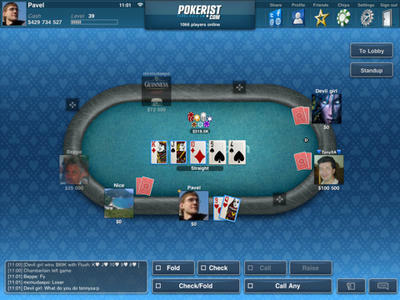 Texas Poker: Texas Poker features in-game chat with players from around the world, ability to view player stats, table buy-in so you aren’t automatically locked to a table with people you may not want to play against and more. Virtual Horse Racing 3D HD FREE: Place your bets for Win/Place/Show in this horse racing app that allows you to have up to eight horses per race, each with detailed stats you can study prior to placing your bets. Alpine Crawler HD: Race cross country in a pickup, but make sure you don’t go too wild on any of the different courses because you might find yourself rolling over or crashing. Drift Mania Championship Lite: Drifting is a form of auto racing that sees the drivers slide, or “drift” through corners as opposed to making actual turns. Choose the type of car that best suits your style, compete in two different circuits, different camera configurations and a host of other options. 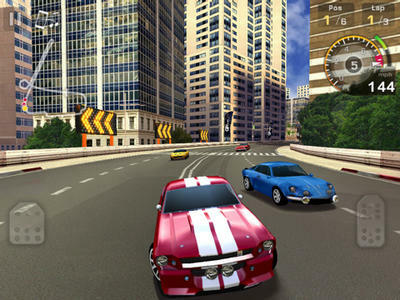 GT Racing: Motor Academy HD FREE: Race around numerous tracks in detailed, licensed cars from some of the biggest names in auto racing. The only drawback to this game is its enormous size (356 MBs) which makes the load time seem excessive to many people. HTR HD High Tech Racing Lite: Just like the remote controlled racetracks of your childhood, except instead of bugging your parents to buy you better cars, you can earn the upgrades. LightBike2: Race “light bikes” (er … yeah, it’s what you think it is) with up to four players via Bluetooth, or play online (feature costs) against others from around the world. Destination: Treasure Island HD Lite: Set four years after the events of Treasure Island novel, Jim Hawkins has learned of another treasure to go after, but he is being pursued by new enemies, and friends of Long John Silver. Race against the other pirates to get to the treasure first. 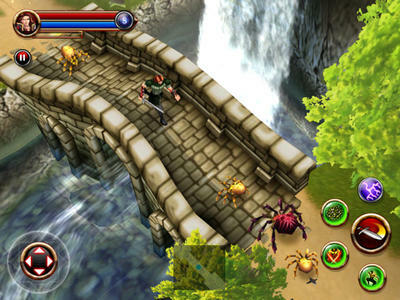 Dungeon Hunter HD FREE: Explore the world of Gothicus after creating your own character to fight monsters, locate weapons and treasure, customize your button layout to suit your needs and more. Forces of War: This game is online only, but represent your country of choice, master missions, build the ultimate weapons to help you out and challenge people around the world via Game Center comparability. 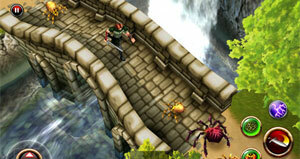 GraalOnline Classic: An MMORPG with a distinct 8-bit look that lets you kick it old school. Create your characters, start guilds, go on adventures, build homes and everything else you would expect from a fully featured MMORPG, except you get to enjoy it on your iPad. Pocket Legends (3D MMO): Now you can play in a full-on MMORPG (massively-multiplayer online role-playing game) without the need of a computer. Choose your race, go on quests, engage in battle, challenge people from around the world, buy upgrades for your characters and a whole lot more in this 3D adventure game. 10 Pin Shuffle (Bowling) Lite: A favorite of many a bar, 10 Pin Shuffle recreates the bowling with discs game we have seen so often in real life, but adds in an aspect of playing poker also. 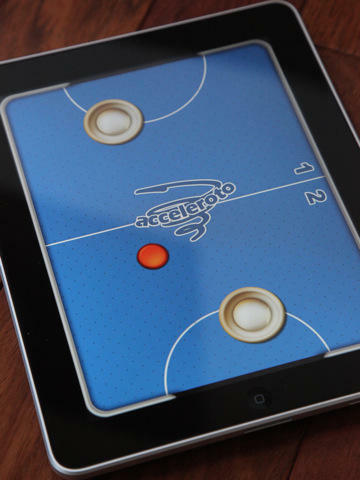 Air Hockey Gold: Who knew Air Hockey could be so much fun? A staple of roller rinks and bowling alleys, air hockey on the iPad is fun and addictive, and its compatible with the iOS Game Center. Play it alone on skill levels from “Kiddie” to “Insane”, play 2-player on the same iPad or match iOS devices against one another. Crazy Snowboard HD Lite: Get your groove on with this snowboarding game that features unlockables for riders, boards and in-air tricks across multiple challenging courses. ESPN Map Madness: A bit of trickery from the folks at ESPN with this one. It’s a mixture of geography and sports trivia as you try to answer questions about the location of college and pro football teams, and the cities they represent. Great idea for tricking kids into learning the geography of the United States. Stick Golf HD: Challenge yourself to 108 holes of golf (with more courses added periodically), add wind to make it even tougher and check your high scores both locally and globally. Adventure Bay for iPad: Build up your island paradise to attract tourists, assemble a crew to set sail and look for treasure, unlock exclusives and more. Aqueduct 101: Try to build a working aqueduct system while being stymied by walls, conveyor belts and more obstacles. FarmVille: We’re not quite sure many people would qualify FarmVille as “strategy”, but Zynga, the company behind the game, does. TechnoBuffalo doesn’t believe in promoting addictive drugs, but yet, here’s FarmVille on one of our lists. You can access your current Facebook farm so you can play any time, or create a whole new farm to see what all the hoopla is about. 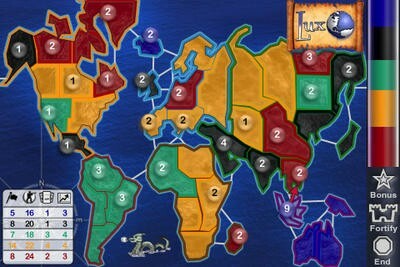 Lux Touch: Lux Touch is a game of world conquest … that only slightly resembles a certain famous board game of world conquest. 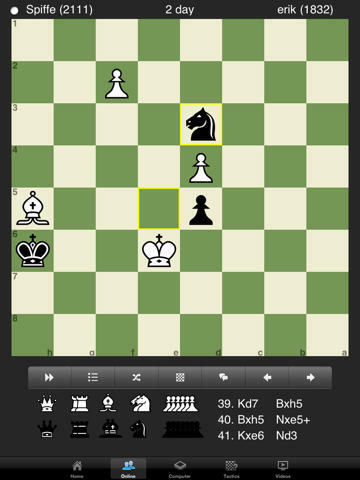 If you’re a fan of “Risk”, you’ll love this game. Tap Reed HD: Populate your reef with fish and grow it, try to get them to fall in love and other fun activities.